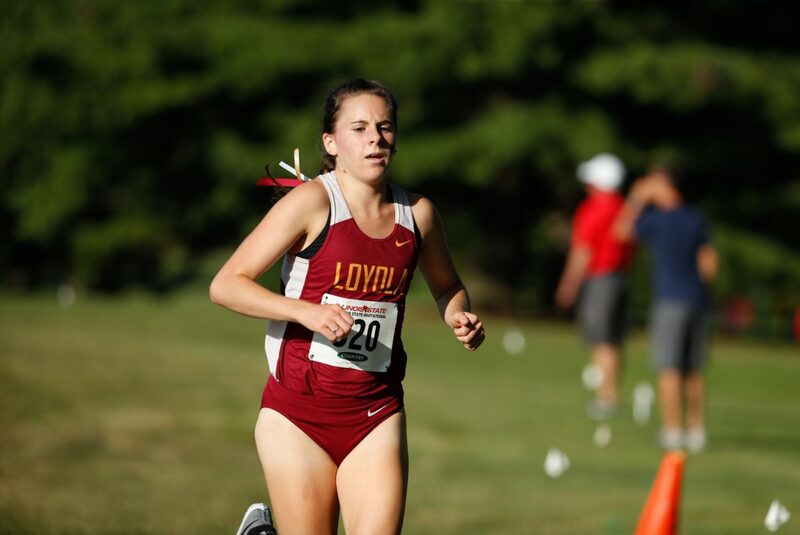 Steve Woltmann | Loyola Athletics Redshirt junior Lindsey Brewis has won MVC Cross Country Athlete of the Week honors twice this season. Brewis was the first Rambler to finish a race at three meets in 2017. She finished in second place at the ISU Country Financial Invitational, 58th place at the Greater Louisville Classic and first place at the Bradley Pink Classic. Since becoming part of the Missouri Valley Conference (MVC) in 2013, the women’s cross country team hasn’t finished in the top three at the conference championships. This may change when they race at Missouri State University Oct. 28 in Springfield, Missouri. Led by redshirt junior Lindsey Brewis, the women are coming off a fourth place finish at the Bradley Invitational Oct. 13, narrowly defeated by third-place winner Bradley University. Brewis, who was recently named MVC Female Cross Country Athlete of the Week for the second time this season, is ready for the challenge and said she isn’t going to let anybody stop her. Peterson said he believes the two toughest teams to beat are University of Northern Iowa and Bradley — but it’s anybody’s race to win. Also looking to make a name for herself is first-year Mimi Reimers, who is a top contender for the MVC Freshman of the Year award, according to Peterson. The men’s team is also looking to contest for a top-three finish, aiming for second place behind reigning MVC champion, Bradley. Bradley was selected to finish in first place in the men’s and women’s MVC preseason polls. 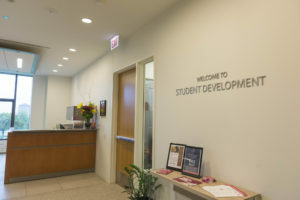 Like the women’s team, Loyola men’s cross country assistant coach Mircea Bogdan said he believes the other conference teams are going to be running at full force. Ready to take on his toughest opponent, junior Kyle Mattes from Illinois State University (ISU), redshirt senior Alex Baker said he believes he’s in the right place to pull out a win in his final conference cross country race. Missouri State hasn’t hosted a MVC meet since 2008, which means most of, if not all, the runners will be new to the course. Not knowing what to expect, Baker said the runners have to mentally prepare for the race as best at they can because they won’t get to see the course in person until the day before the race. Rain is in the forecast Oct. 27, which would make the course muddy — a factor runners must consider. It also means the runners would be wearing shoes with longer spikes and pacing themselves differently, which could make their times slower than normal. Although these unexpected factors can change the nature of the course, as long as the athletes stick to their individual game plans, they’ll be able to finish in the best place possible, according to Bogdan. The men’s and women’s cross country teams are scheduled to race at Missouri State University in Springfield, Missouri Oct. 28.